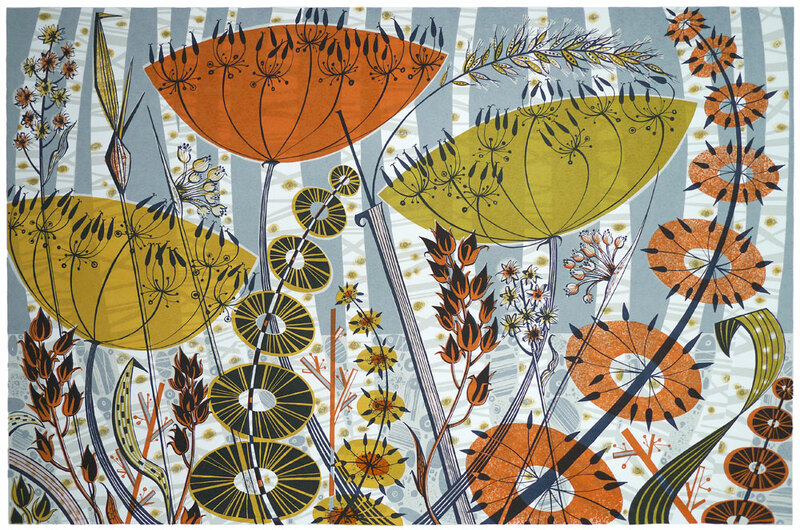 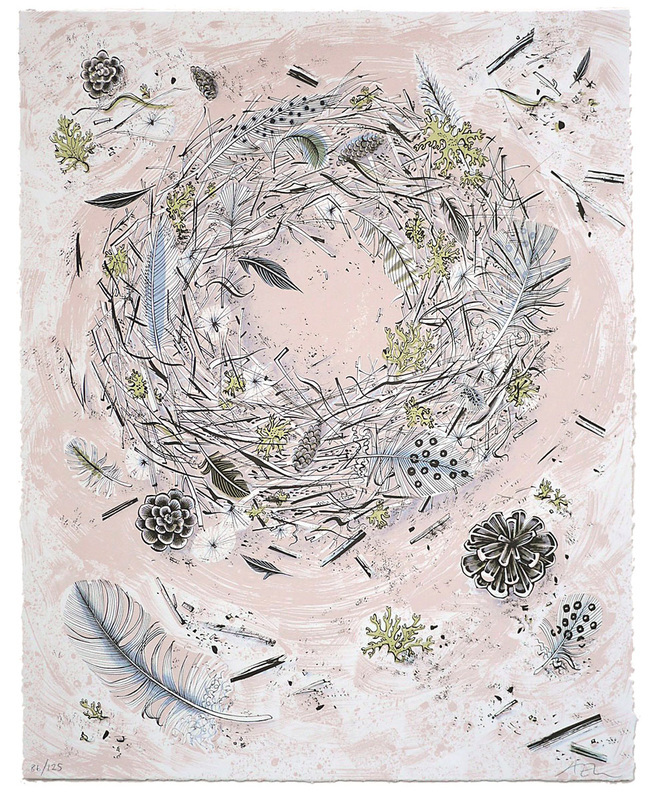 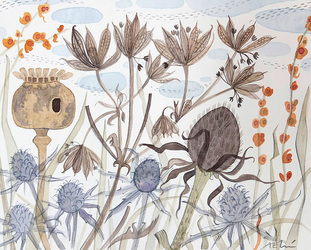 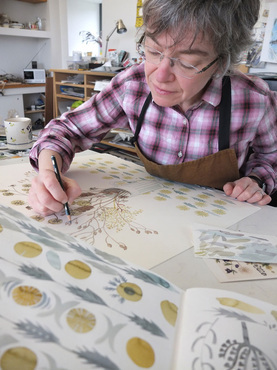 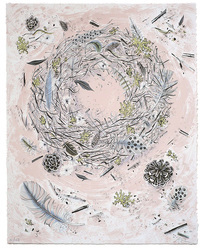 She now lives in Scotland making prints, watercolours designs for fabric and illustrations. 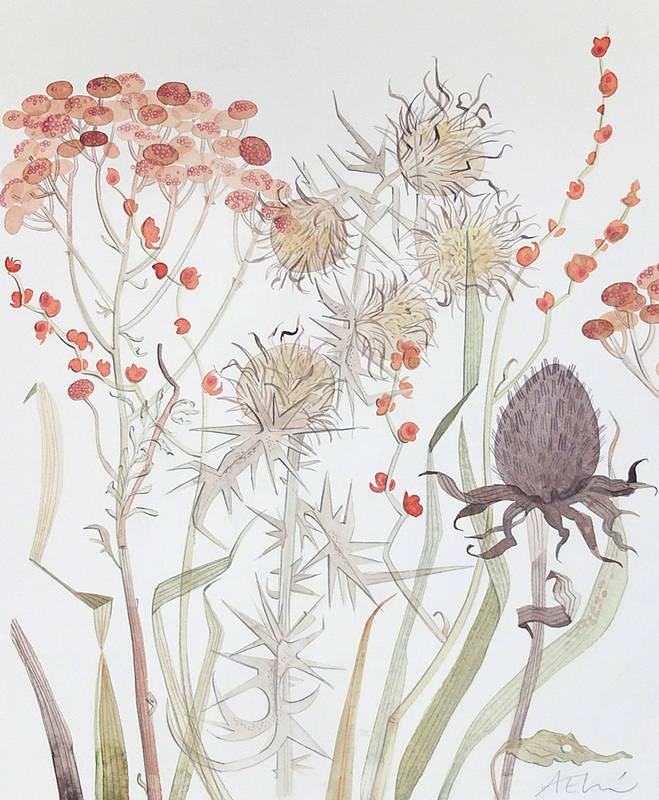 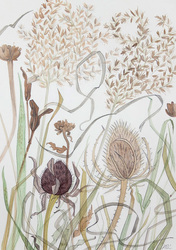 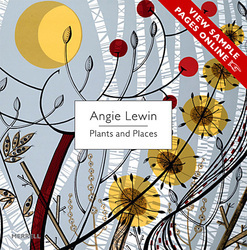 A monograph on her work, 'Plants and Places' was published last year by Merrell. 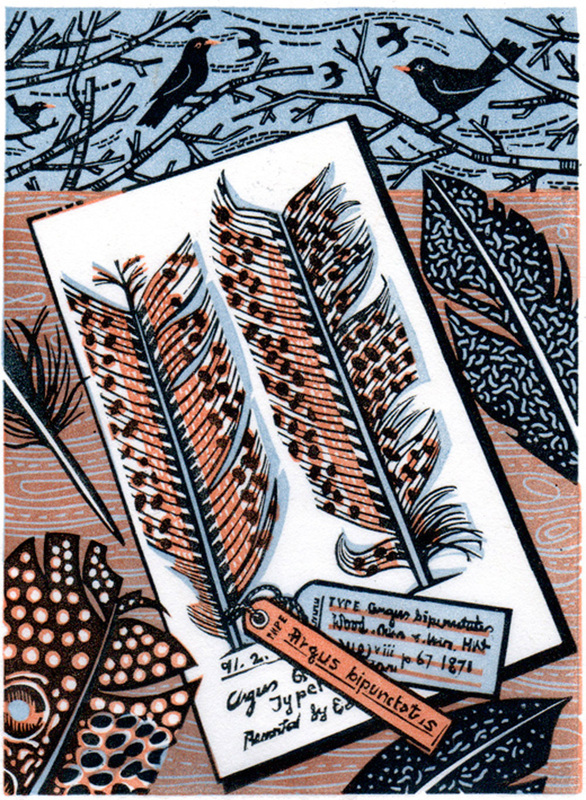 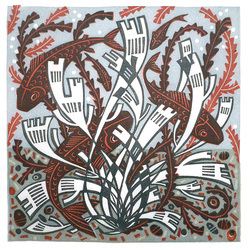 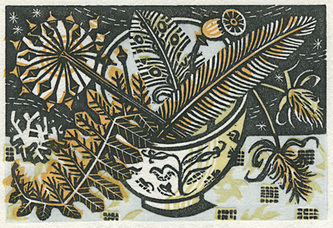 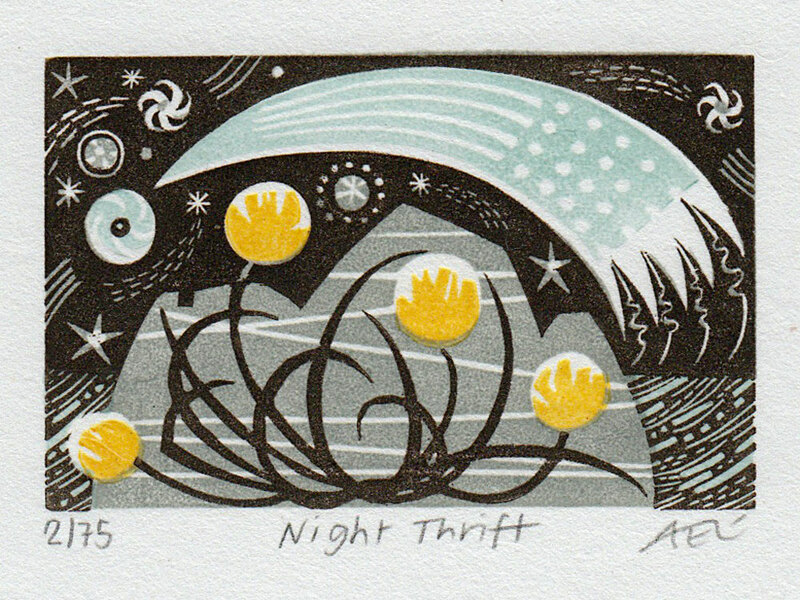 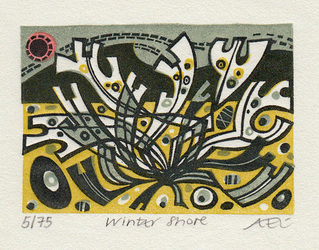 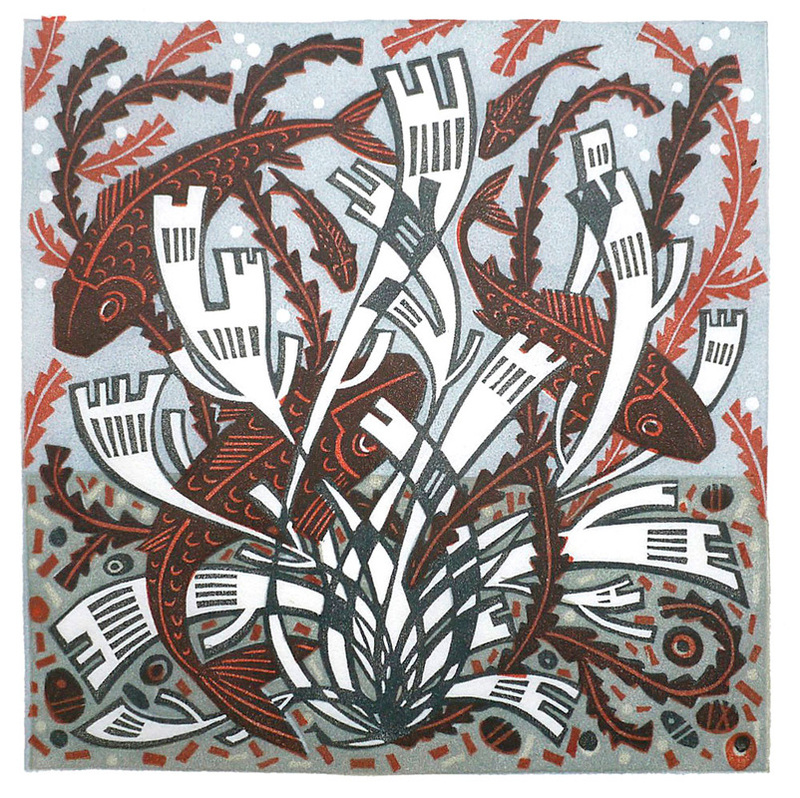 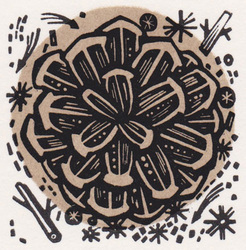 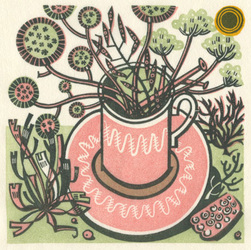 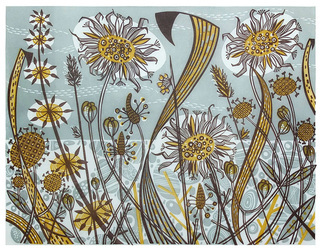 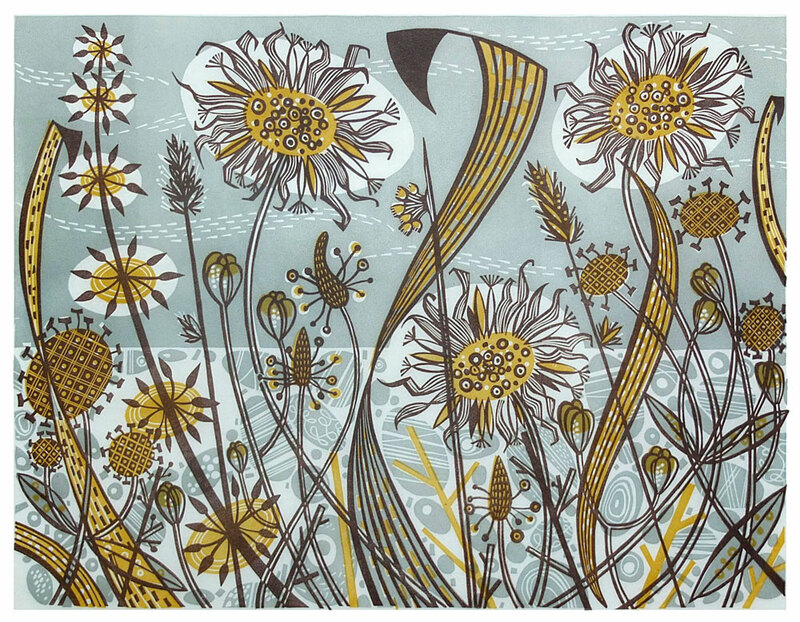 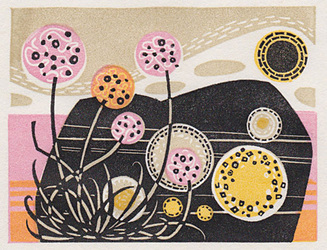 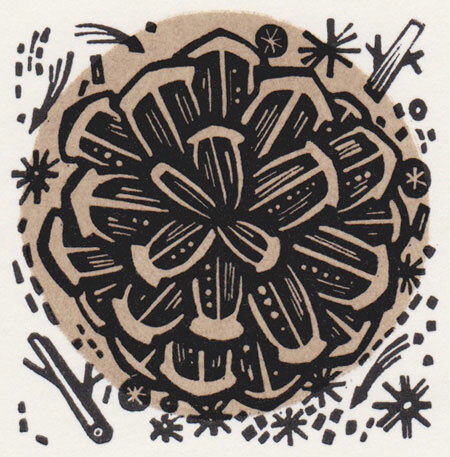 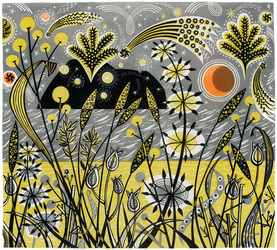 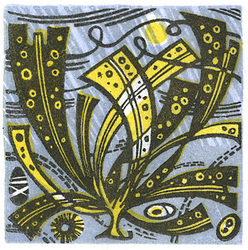 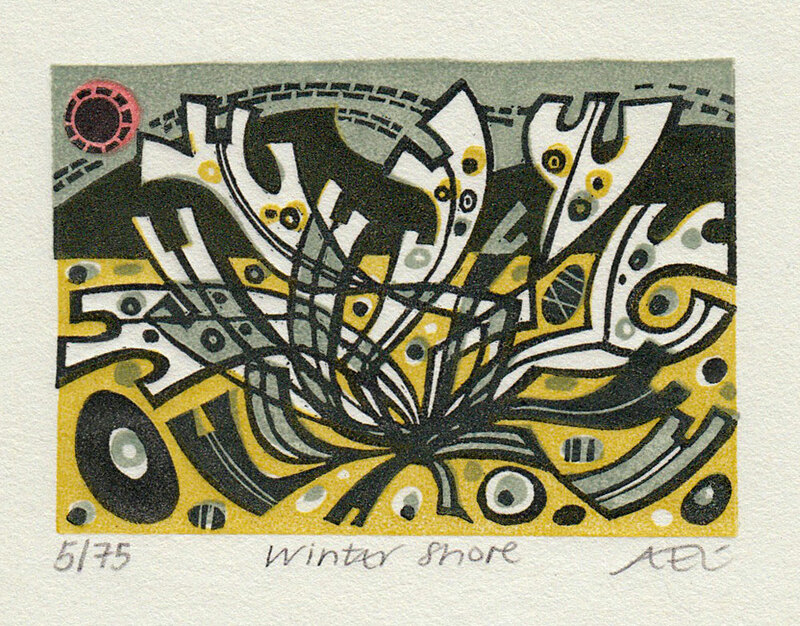 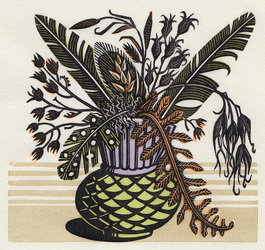 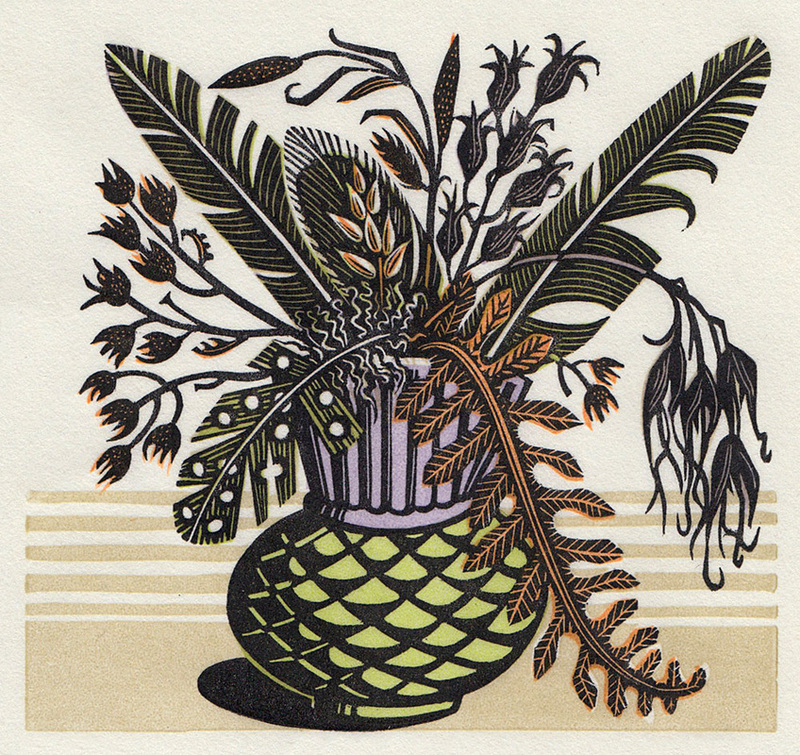 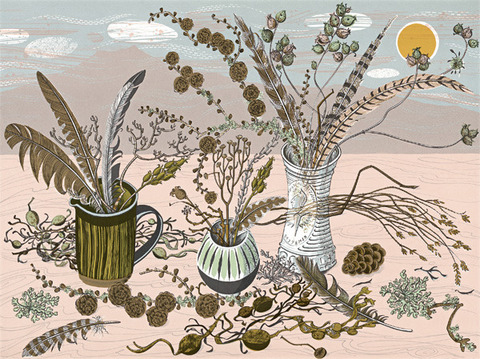 She is a member of the Royal Society of Painter Printmakers, The Society of Wood Engravers and The Art Workers Guild. 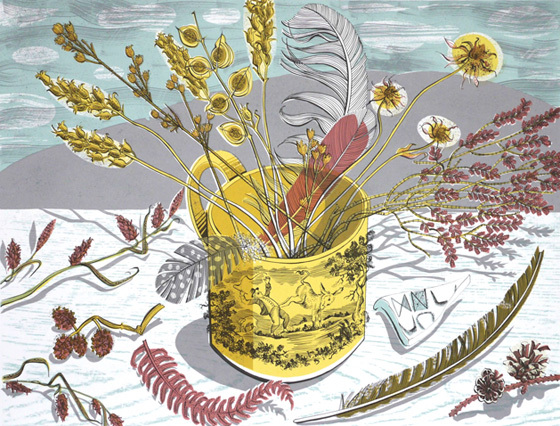 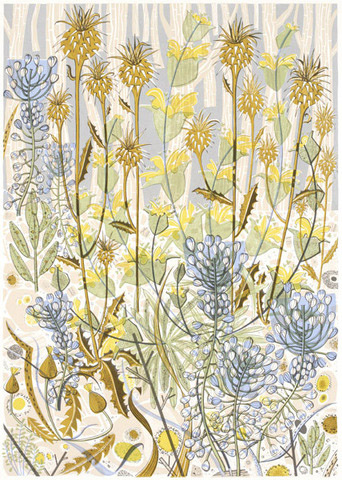 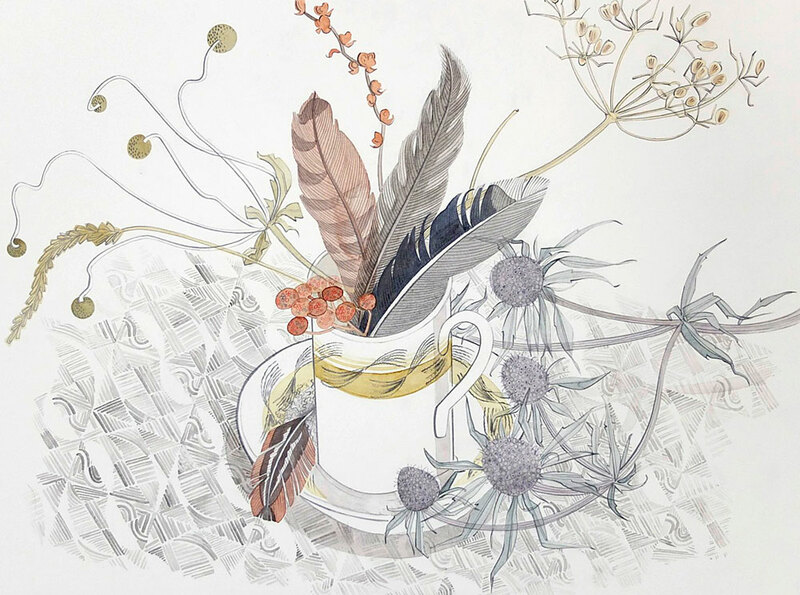 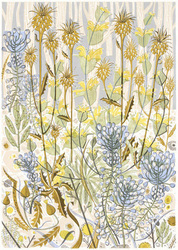 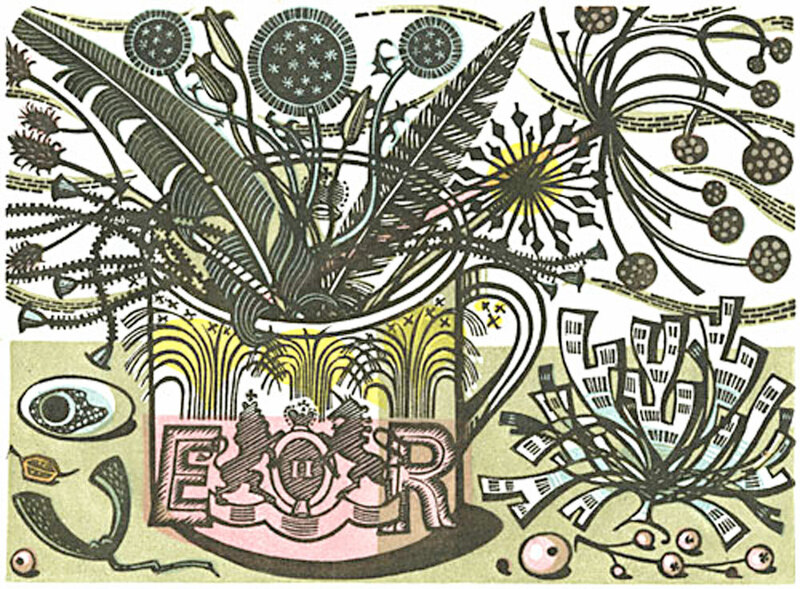 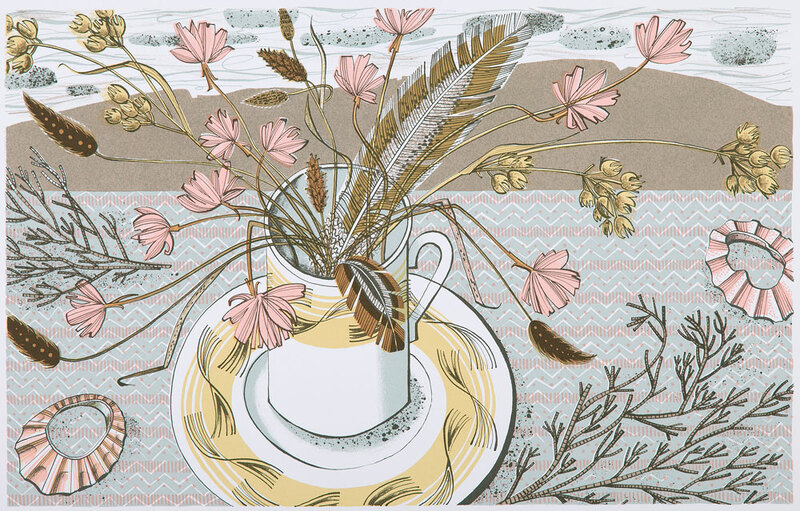 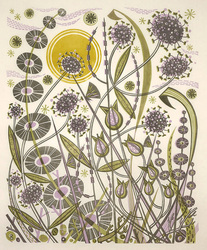 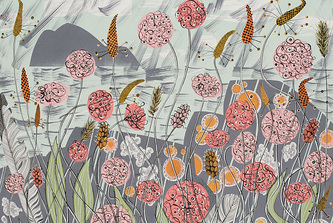 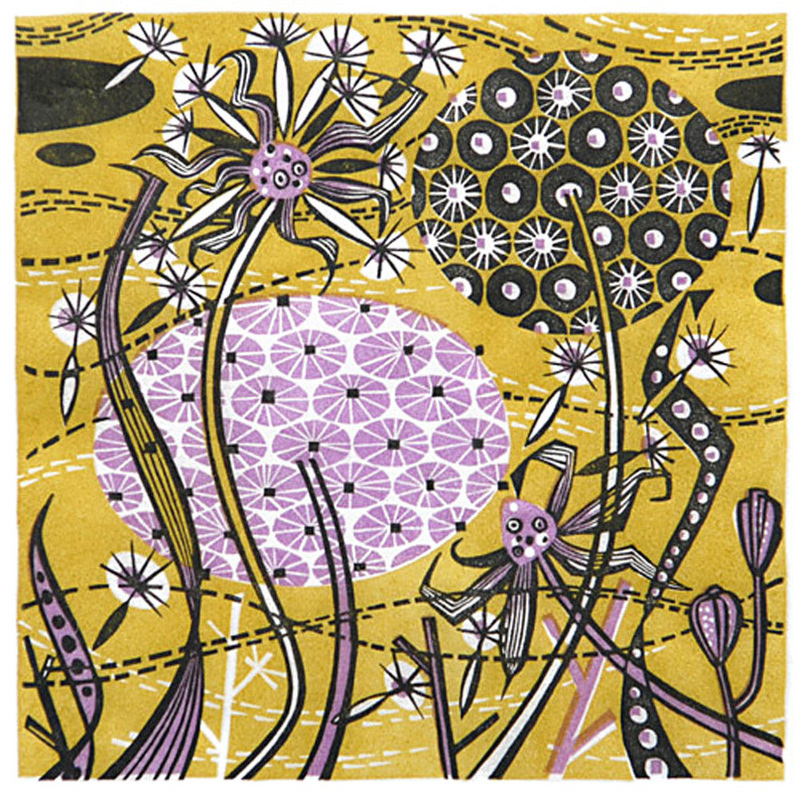 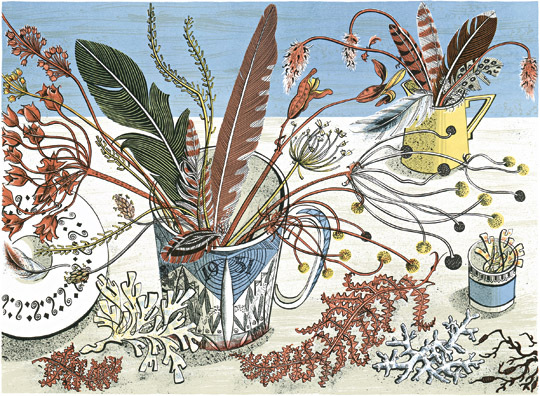 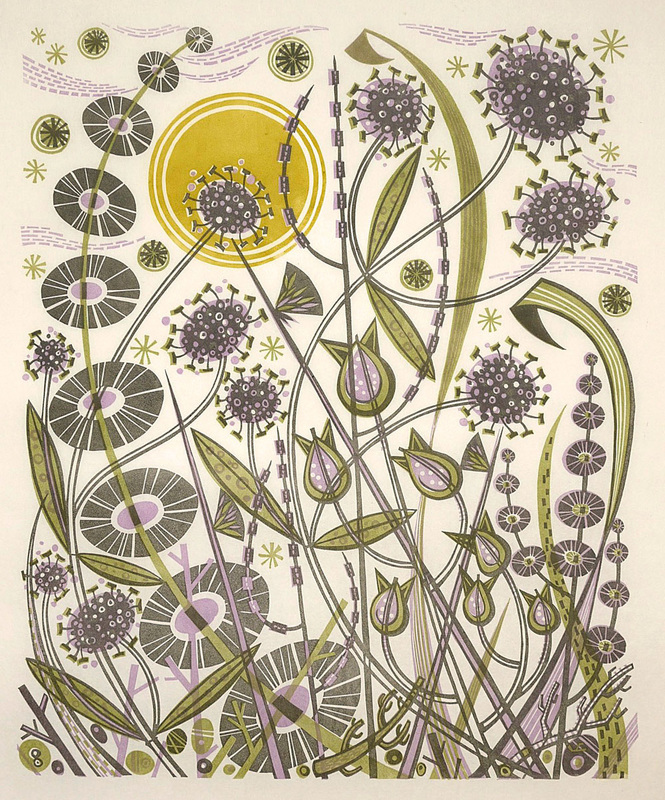 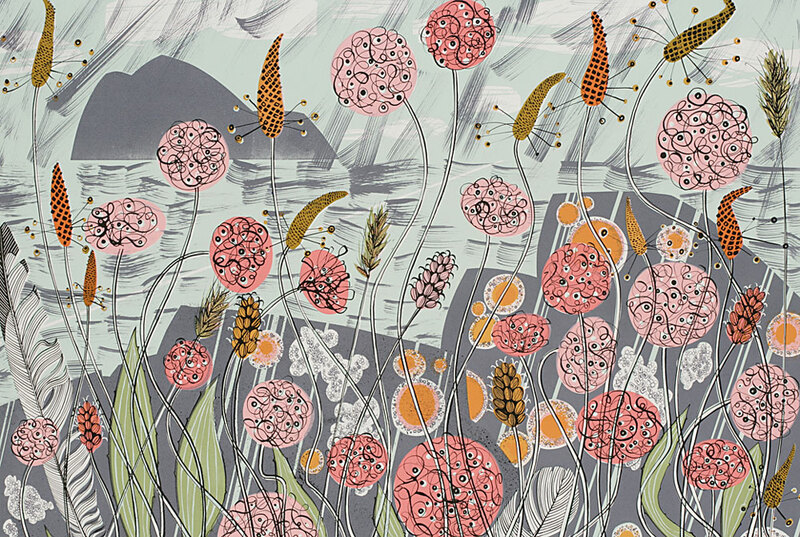 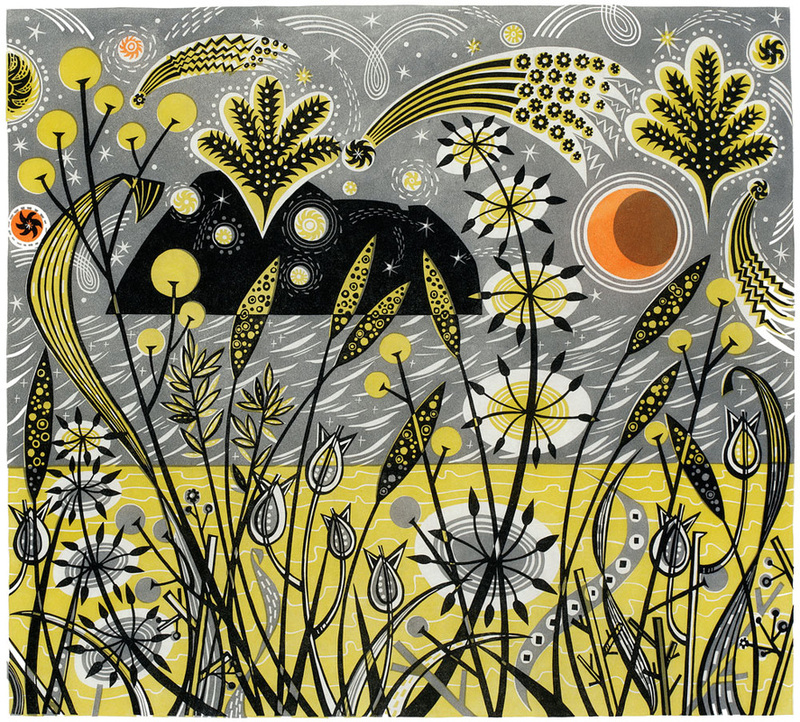 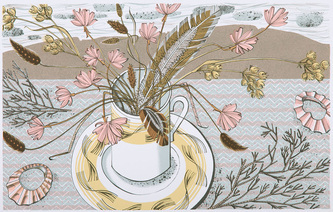 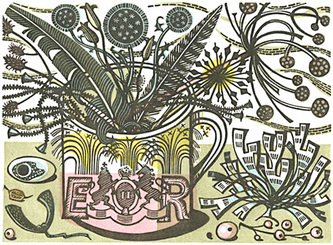 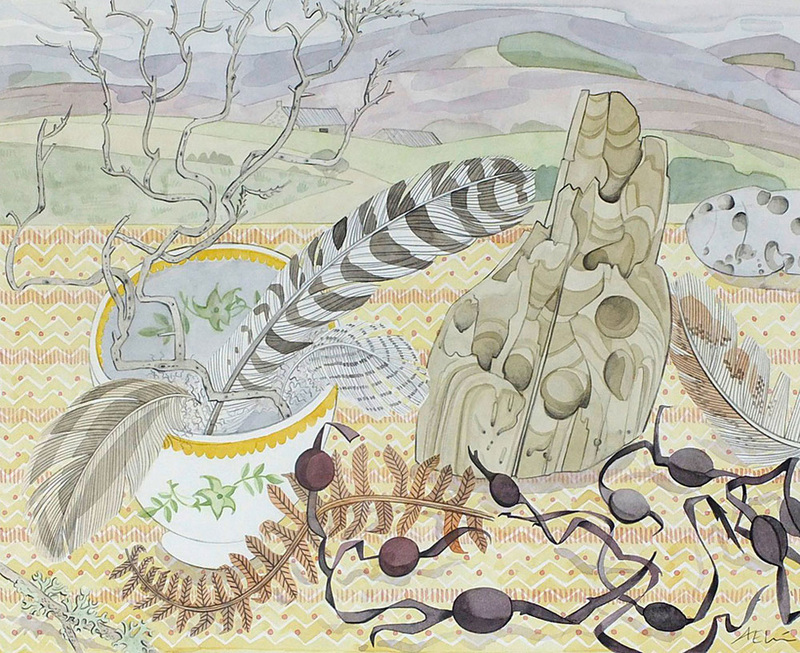 Angie Lewin: Plants and Places Over 70 of Angie's limited edition prints grouped according to habitat – such as coast, woodland and hedgerow, and garden – together with drawings, paintings and collages. 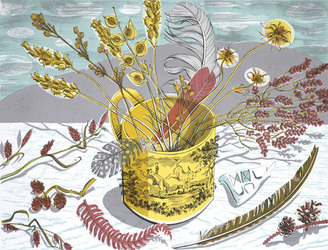 We have a limited number of signed copies of the book available. 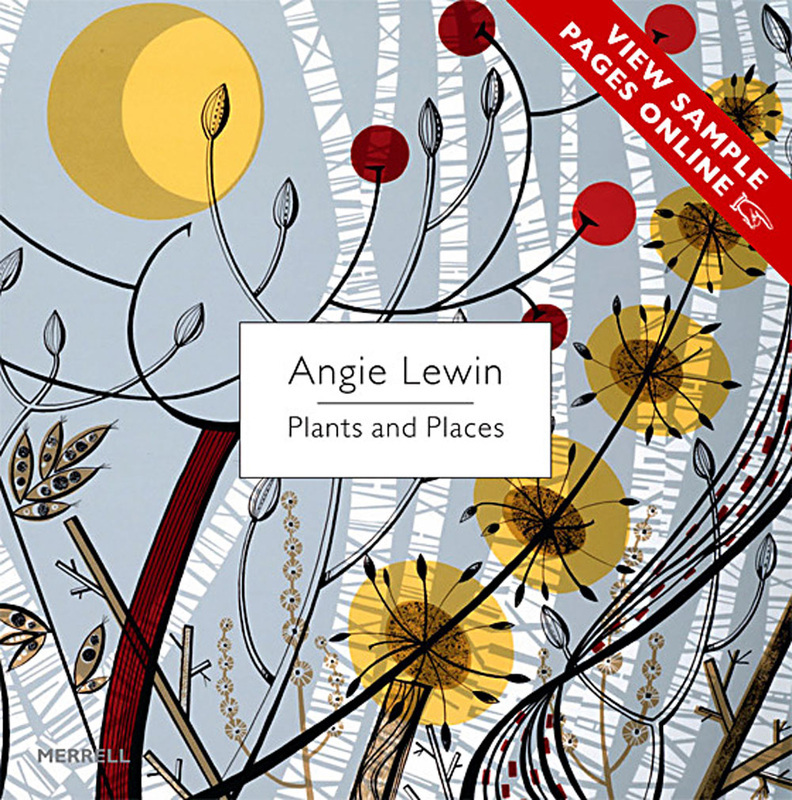 If you would like to reserve a signed copy of the book click here to request a copy. 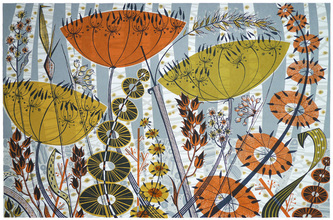 Thank you to all of our customers who made this show such a success. 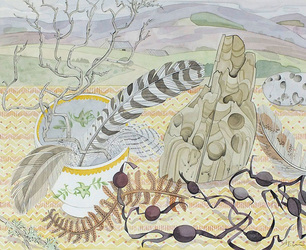 These are some of the pieces that were included in our exhibition. 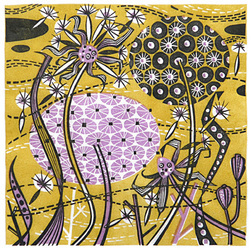 Some of the prints are still available, click here to see the selection. 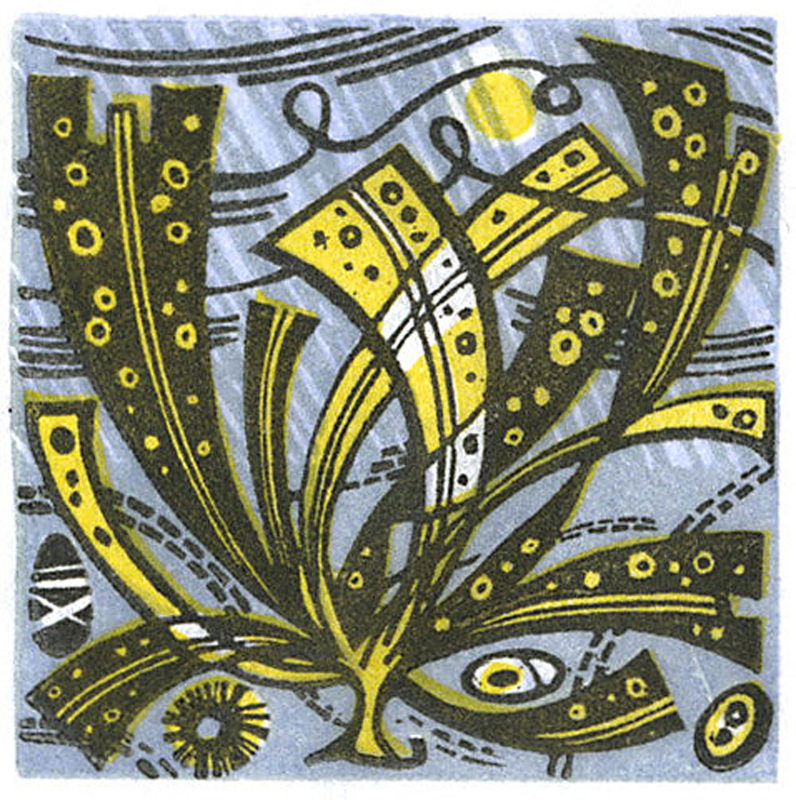 If you have an enquiry please contact Alex Godfrey using the 'Contact Us' page, or send an email to mail@godfreyandwatt.co.uk.